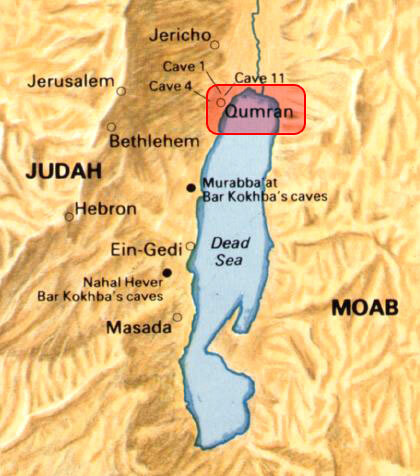 Caves at Qumran where the ancient Dead Sea Scrolls were discovered in 1947. “Our task is not to abolish the first Jesus—the real Jesus who is the greatest gift ever made to [humankind], but to try in all humility and understanding to appreciate our total failure to follow him…. For his message is based on eternal Law, on the totality of the laws of life and the universe [the Universal Laws]. There is no other truth than this, which is expressed for us in the beautiful open book of nature, in man’s body and mind, in the stars and the cosmos. This truth is based on an eternal intuition. If we deviate from the Law, it is not the Law which will suffer, but ourselves. If we could understand the present symptoms of universal uncertainty, neuroses and aimlessness, if we could only realize that their cause is deviation from the wonderful teaching of the man of Galilee and that their cure is a return to the original purity and simplicity of his teaching, then the duality of the two Jesuses would disappear and we would have only one Jesus—the real and original one, who illustrated in his life the divine inheritance of all [humankind].” –Edmond Bordeaux Szekely, The Essene Jesus: A Revaluation From the Dead Sea Scrolls, page 75. A valuable tool for understanding our universe and our lives. Without knowledge of the Universal Laws, humanity has tended to blame God. The biblical book of Job is an excellent example. The literal, surface reading of Job blames God for all of his suffering and loss. Yet, the hidden wisdom within Job reveals the unfolding of Universal Laws. 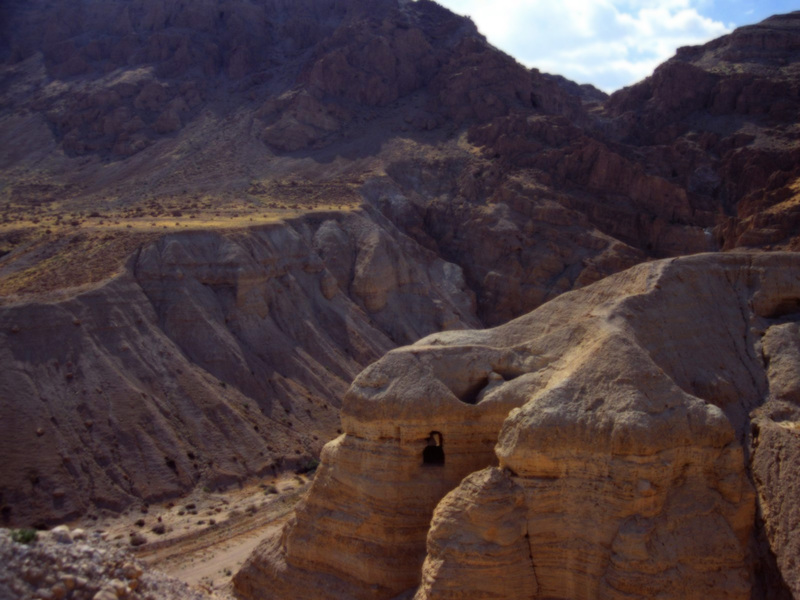 A literal reading of the Bible can be a cruel experience: reading at the hidden wisdom level can be an enlightening experience. 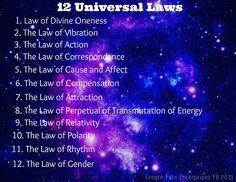 As you read the 12 Universal Laws, think in terms of your life experiences and relate them to one or more of the Universal Laws. God is not a God that requires us to worship with a tightly closed mind…the Universal Laws explain how life will unfold in very dependable ways! As we integrate these laws into our daily lives, we begin to learn how to take responsibility for how our lives unfold. We become Sovereign Beings! I have known many Christians who refuse to read Job due to the grossly unfair literal meanings they see there. Knowing the hidden wisdom beneath the surface words can be a freeing experience and allow you to behold a loving, fair God! Law of Compensation– The Universal Law is the Law of Cause and effect applied to blessings and abundance that are provided for us. The visible effects of our deeds are given to us in gifts, money, inheritances, friendships and blessings.